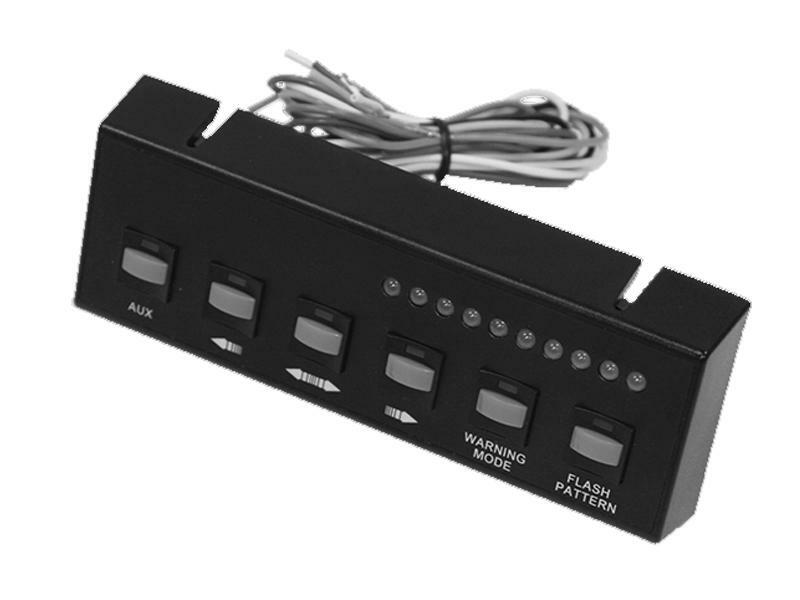 Switch panel with 6 push-button switches used to control Buyers L.E.D. Strobe/Traffic Light Bars, part numbers 8894037 and 8894047. 4 On/Off, 2 momentary flash pattern control with warning/traffic stick L.E.D. light bars. L.E.D. indicators on switch panel. Approximate size: 6.5" x 2.75" x .75"